This entry was posted in Fast Break and tagged coaching basketball, fast break basketball on October 13, 2014 by admin. This entry was posted in Fast Break and tagged coaching, fast break basketball on October 1, 2014 by admin. This entry was posted in Fast Break and tagged coaching basketball, fast break basketball on September 8, 2014 by admin. This entry was posted in Fast Break and tagged coaching basketball, fast break basketball on May 21, 2014 by admin. This entry was posted in Drills, Fast Break and tagged basketball drills, coaching basketball, fast break basketball on April 16, 2014 by admin. This entry was posted in Fast Break and tagged coaching basketball, fast break basketball on April 14, 2014 by admin. This entry was posted in Fast Break and tagged coaching basketball, fast break basketball on April 12, 2014 by admin. This entry was posted in Fast Break and tagged basketball offense, coaching basketball, fast break basketball on April 3, 2014 by admin. 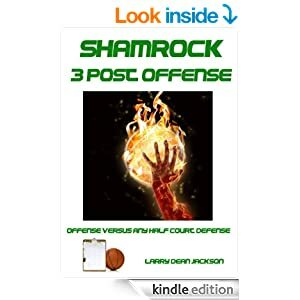 This entry was posted in Fast Break, Pressure Defense, The Program and tagged coaching basketball, doug porter, fast break basketball on April 3, 2014 by admin.